Once inside Ice Castles, we had so much fun exploring and marveling at the icy caverns and caves. We certainly weren’t alone in our enthusiasm— there was no shortage of people taking photos. Anyone who visits will agree Ice Castles is one big photo op! The best treat was seeing the Ice Castles transform before our eyes as night fell. The lighting placed inside the ice sculptures changed from cool red to blue to violet as an instrumental version of “Let It Go” played in the background. We loved our time at Ice Castles! 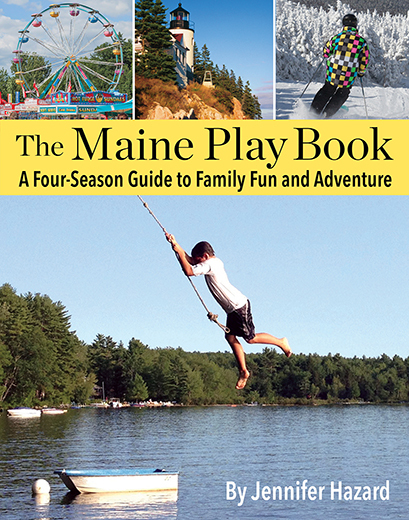 It’s the ideal activity to tag on to a full day of fun, like skiing at Loon Mountain or taking a family sled ride. After our visit, we enjoyed a hearty dinner at the Tilt’n Diner — a classic, fifties style diner which features comfort food and over the top desserts. FMI, visit Ice Castles online or find them on Facebook. This looks like a lot of fun, what a great contest! I have been dying to take my kids there!! We’ve been dying to go! Would love to win! My family would love to visit the ice castles. It looks so beautiful! We have been wanting to take our girls to this! They love Frozen and what a great chance to see a real ice castle! This. Is. AWESOME! I’m dying to take my boy here, it would be a great homeschool field trip! Would love to take my kids to check out the ice castles! We would love to visit the ice castle and Lincoln before winter ends-if ever! I love seeing your pictures…and appreciate your advice! We’d love to win, as you know, we hope to go soon! Sorry, that showed as my rental business. It is Jillaine! We have never been there and have wanted to. Our kids would love exploring these. They would be full of questions. It would be so exciting! We’ve been trying to find a time to go – looks amazing and great review! We have been trying to get there but the snow has been making it difficult. Great giveaway!! We’ve been wanting to visit this place! How fun! I love the choice to make winter a blessing instead of a curse! Oh, awesomeness!!! Thanks for the chance!! i would love to take my kids to see the ice castles!! Really am hating this winter, but I think this could be something about winter I could embrace?!?! Would be so awesome if we could win these. Oh we’ve been wanting to go! Looks great! This looks like something the entire family would really enjoy! on February 20, 2015 at 9:41 pm | Reply Jess M.
Ice Castles look so cool. Great giveaway. This looks magical and I imagine it feels magical to be inside! What a great family adventure. Super cool! Also, I love the movie. Those roses! Looks super cool…and with the winter we’re having what better way to celebrate than with a visit. Would love to bring my littles to visit there! Thanks for the chance to win! Something like this would be perfect in the County! Oh my goodness! Would love to go photograph here at night! Great photos! It would be great to see the kids enjoying the castle! My family and i would.love to go! Wow…this is amazing. My boys would love it!!!! Perfect birthday trip for my new 11 year old whose birthday is tomorrow. Have been wanting to go! Thank you for the chance. Wow, that looks amazing! I’d love to take our kids there.